Suffolk University President Marisa Kelly. 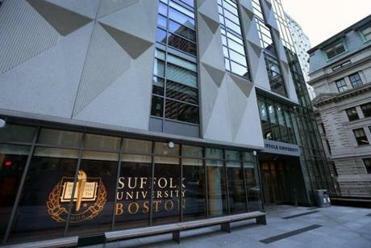 An outside law firm has found there was no illegal or unethical behavior in the search process that led Suffolk University to choose its new president, the school announced Monday. 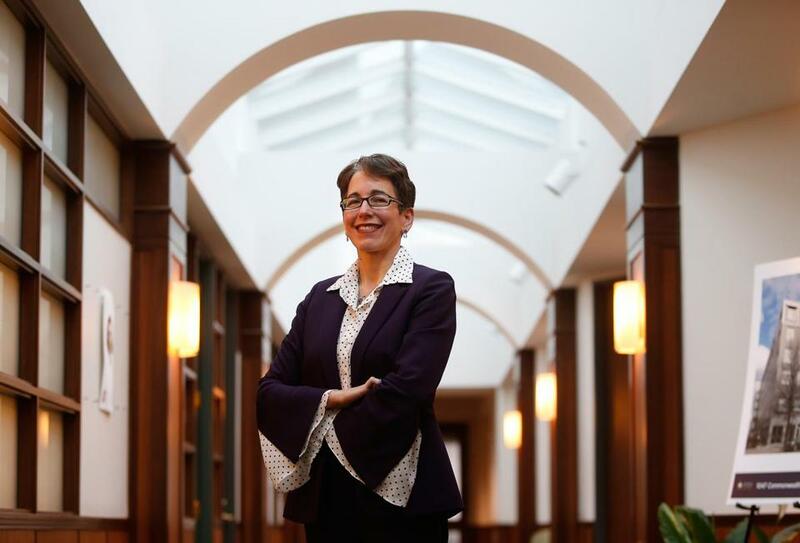 The university, which for years has been mired in controversy, came under fire by some trustees after it chose interim president Marisa Kelly as the permanent president even though she was not one of the two finalists selected by the search committee. Accusations centered around board chairman Robert Lamb, who was accused of unfairly influencing the search process. In response to the complaint, Suffolk hired the law firm Yurko, Salvesen & Remz. The investigation was led by Donald Stern, a former US attorney who is of counsel at the firm. The firm interviewed more than 40 people, including search committee members and trustees, and reviewed documents and emails, he said. Stern found no evidence that Lamb or other members of the search committee did anything “illegal, dishonest, unethical or fraudulent,” according to a four-page report by Stern posted Monday on the college’s website. However, the firm did signal that the search was not entirely smooth or uncontroversial. “No selection process is flawless and, with the benefit of hindsight, the Search Committee and the search consultant may have made different choices,” the report said. The controversy over Kelly’s appointment followed a long period of instability at the school. Suffolk was engulfed in scandal when trustees abruptly ousted new president Margaret McKenna in early 2016 after she had served just seven months on the job. She was the fifth president in as many years. The report on the latest presidential search provided a synopsis of what investigators learned about how Kelly was chosen. According to the law firm, at the end of the search process, the committee was unable to decide between two candidates and decided to hold a final meeting to decide. Before that meeting, however, several search committee members including Lamb decided neither candidate was the best for Suffolk and that Kelly should not have been eliminated from consideration. “Although we do not believe that there was any orchestrated action, there were isolated discussions between some of these individuals, including Mr. Lamb, about having the Search Committee reconsider its decision at the final meeting,” the report said. But the firm found that Lamb in no way coerced or unduly influenced other members of the search committee. At its final meeting, the search committee could not decide between Kelly and one of the original two finalists, so Lamb decided to present both to the trustees and ask them to choose. The report said lawyers found no evidence that there were irregularities in the voting process, such as substituting paper balloting for electronic voting. When the trustees met, they decided not to interview the outside finalist in person and, after a vote, chose Kelly. Ten of the 23 trustees trustees were members of the 19-member search committee and nine had met the other candidate. Suffolk posted the report on its website Monday, along with a statement from trustee J. Robert Johnson, who oversaw the investigation. He said such whistleblower allegations are normally kept confidential, but the school chose to make the report public because the allegations questioned the integrity of the presidential search.